This Bay Rum scented Aftershave Balm harks back to the days of old-school barbershops, the scent is a subtle, manly fragrance of real bay leaf oil and spices. It's made exclusively for Executive Shaving to our unique formula, this Bay Rum scented aftershave balm is non-greasy and soothes, hydrates and tones shaved skin helping to keep it irritation-free and supple. The balm is absorbed easily in to the skin without leaving it shiny or greasy. 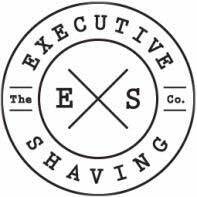 Executive Shaving Bay Rum scented Aftershave Balm benefits from an anti-ageing ingredient called Niacinamide which helps to reduce the appearance of wrinkles and acne and promotes even skin tones. Also included in the ingredients are aloe vera gel and oat extract, traditional healing ingredients which soothe the skin. This Bay Rum aftershave balm can also be used as a daily face moisturiser. This balm is paraben and alcohol free, making it suitable for all skin types, including sensitive skin. It has not been tested on animals. Large 150ml size, excellent value for money. The aluminium packaging is recyclable. Match up with our Bay Rum Shaving Cream. After shaving, wash the face in warm water to remove all traces of shaving lather. Pat the face dry with a clean towel. Apply our Bay Rum aftershave balm to the shaved area. If you use this as a daily moisturiser use twice daily after washing your face and neck. Our advice - use after shaving and after washing your face in the evening. This is a highly effective face and neck moisturiser as well as being one of the best aftershave balms around. It's pleasantly scented. Good value for money, paraben and alcohol free, 150ml size, easy to use pump dispenser. The Executive Shaving Company has come up trumps again.